Does your home have high energy bills? 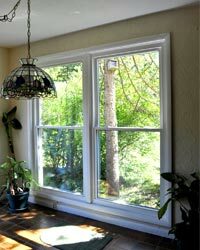 One of the culprits contributing to energy loss could be your old windows. Replacing your windows can have a dramatic impact on your energy bills and will also increase the value of your home. Replacement windows from Universal Windows Direct are some of the highest performing windows available on the market and have helped thousands of homeowners in Gahanna and the Columbus area save money on their energy bills. With a wide variety of available options and upgrades, you're sure to find a replacement window that fits both your style and budget while providing your home with the maximum benefits of comfort, health and security. When you purchase replacement windows from Universal Windows Direct, you can be confident in your decisions. All our installers are factory trained, licensed, bonded and insured and have over a 95% approval rating. In addition, all our replacement windows are backed by industry leading warranties and are transferrable to subsequent homeowners. 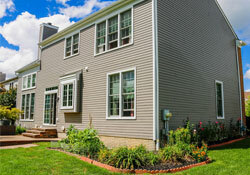 How Can a Quality Siding Company in Gahanna Help Increase Your Home's Value? Most homeowners are concerned about maintaining their home's appearance and value, and many would like to increase it as much as possible. While there are many avenues to increasing your home's value, replacement siding companies can help you get the biggest bang for your buck on your home exterior projects. Universal Windows Direct is a local siding company that offers a variety of exterior products to transform your home increasing both its value and curb appeal at the same time. Siding installation companies in Gahanna can help renew your home's structural integrity. This is especially the case when you select UniShield vinyl siding from Universal Windows Direct. Our siding is engineered with heavy gauge plastic that measures in at 0.44" or 0.46". A structurally-sound home is priceless, and completely achievable when working with Universal Windows Direct. Your home's curb appeal can drastically affect its overall value. Replacement siding companies are experts at making your home look more beautiful, especially with a variety of aesthetic options that you can choose from at Universal Windows Direct. Universal Windows Direct has over 12 colors of vinyl to choose from, ranging from contemporary to modern. The best siding company can help you select the perfect siding colors that complement your home's architecture and other exterior features. Replacement siding can also help increase your home's value by offering energy-saving siding products. UniShield siding is one of the most efficient siding options on the market, increasing your home's curb appeal and value. Why Choose Fiberglass Entrance Doors in Gahanna, OH? A new entrance door can make a dramatic impact on your home. Whether your home is historic or brand new, replacement entrance doors are a unique and inviting feature. There are several door material selections that you can choose from, but not all are created equal - especially in terms of quality, energy efficiency, and aesthetics. One of the first benefits is that fiberglass doors are relatively cost effective, especially in comparison to a traditional wood entry door. Fiberglass entry doors can also help homeowners save money, thanks to their innovative design. Replacement entrance doors are engineered with a polyurethane foam core, which helps keep your home at a more consistent and comfortable temperature throughout the seasons. If you're looking for an extensive selection of design elements, fiberglass materials offer just about any design that you could want on a new door. Universal Windows Direct offers nearly endless combinations of colors and glass combinations to make your new door unique to your home. If you love the look of wood but don't want to bother with maintenance, fiberglass doors can be designed to look just like real wood. 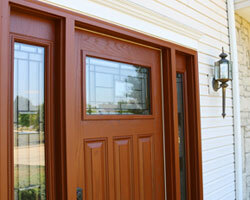 Fiberglass doors also look fantastic on a variety of architectural home styles. If you're ready to get you’re ready to replace your entry doors, you'll be pleased with the quality craftsmanship of our doors as well as our aesthetic selections.